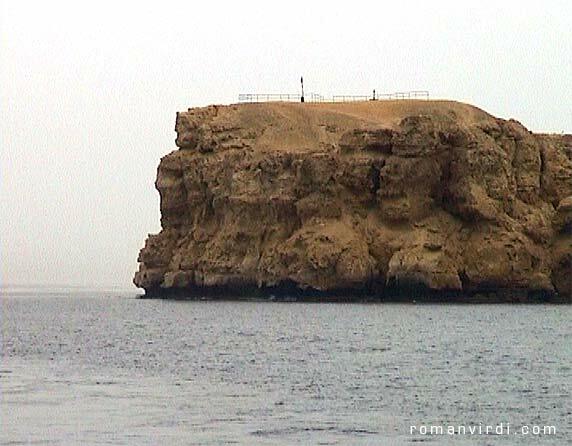 "Ras Mohammed, supposed to resemble Prophet Mohammed's profile. It's a marine park, and there are sensational dive stops in this area! My favourite is the "twin tower" dive: two giant neighbouring coral towers, Shark Reef and Yolanda Reef, with amazing 90ñ vertical walls disappearing into the blue darkness below (this dive is usually standard on most Ras Mohammed trips)"